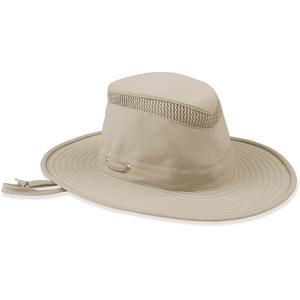 Protect yourself from the elements in the Tilley Cotton Duck hat, which floats in the water and features a brim that snaps up to offer sun or shade when you want it. Tough as nails and soft like cotton, the Tilley Hemp hat fights moisture and UV rays so you can focus on the adventure. Its fabric will fade and develop its own character over time. Effectively blocking 98% of the UVA and UVB rays you come in contact with, the Tilley LTM6 Airflo(R) hat design incorporates mesh in the crown for those hot days. 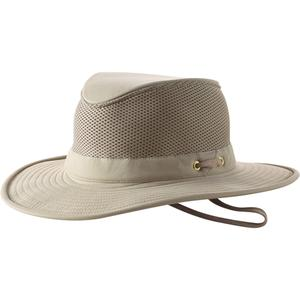 The LTM6 AIRFLO Tilley Hat is designed with a wide brim and 3/4 in. polyester mesh built into the crown. This lightweight Hat offers superb ventilation and is made from Tilley Nylamtium, a strong water-and-mildew resistant form of nylon. 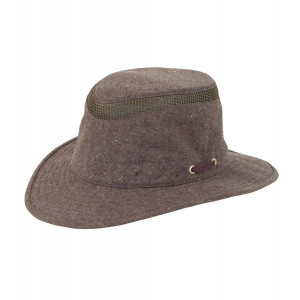 Made with a blend of recycled hemp and organic cotton fibers, each Tilley Mash-Up Hat differs from the next. Natural fabrics offer breathable coverage while a wide brim shades your eyes from the sun. More feature-packed than your average hat, the Tilley Tec-Wool hat keeps you comfortably shielded in all kinds of weather. It has temperature-savvy wool, discreet ear-warmers and a secret pocket. Whether you choose to fold or slouch, the Tilley Merino Wool Toque hat keeps your head warm with soft, non-mulesed merino wool. 3D spacer mesh makes up the crown of the broad-brimmed Tilley Airflo Mesh to offer excellent ventilation while also providing UPF 50+ sun protection. Spend all day in the shade when you're wearing the Tilley Orbit hat. 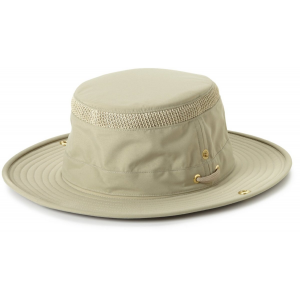 Its hemp and organically grown cotton fabric shields your face from harmful rays with UPF 50+ protection. 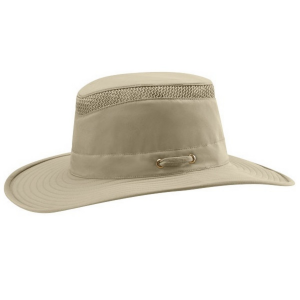 Power through the wind, rain and beating sun protected by the Tilley Outback hat. Coated with washable, water-repellent wax, it's ready for a lifetime of adventuring.